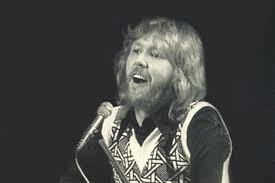 Harry Nilsson is probably best remembered as a singer/songwriter of such hits as One (Is the loneliest number), Me and My Shadow, Coconut, Jump Into the Fire and others. His big hits, Everybody's Talkin' and Can't Live (If Living is Without You) were written by others. Harry was a pretty good guitar player as well as it turned out. Here he is performing his song Without Her.